Chris Hemsworth surprises the guy who saved his wallet (and everything in it) with a BIG present! 5. Chris Hemsworth surprises the guy who saved his wallet (and everything in it) with a BIG present! 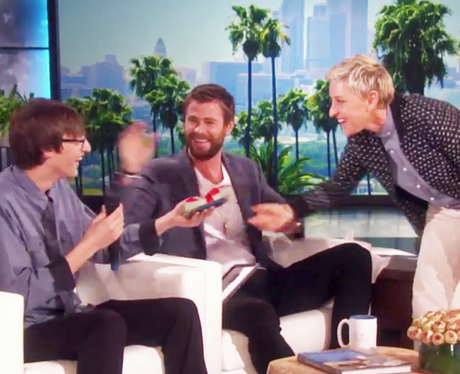 17 year-old Tristan Budzyn-Barker MAY just be the most honest teen out there because he returned Thor star Chris Hemsworth’s wallet - in its entirety - leading to an appearance on the Ellen Show where Chris greeted him with a big hug, a wad of cash AND Ellen paying for his college tuition. Not too shabby!